Neil's Best Dammar Varnish is traditional varnish of dammar (or spelled damar) resin dissolved without heat in pure gum turpentine and aged one year. 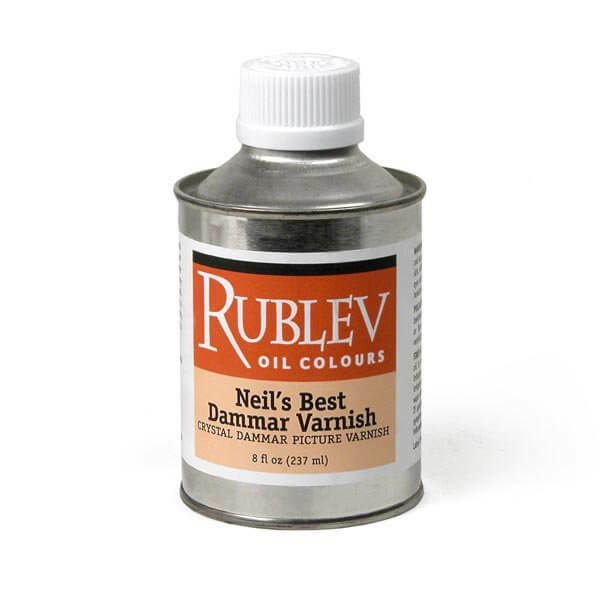 Use Neil's Best Damar Varnish as a final glossy picture varnish over well-dried oil paintings, after 6-12 months, or add Wax Paste for satin finish. Add to oil colors for luminosity, use to make egg-oil emulsions or as quick-drying paint medium. (31% resin solution).